A spokesman for British automaker Land Rover today insisted that the company was “completely serious” about producing the Range Rover Evoque Convertible. “Yes, we’re completely serious about producing this vehicle,” said Sir Nigel Elton Colin Hammersmith Cockfoster-Wingebastard VIII, MBE, MP, OIC, OU812, Fifty-Third Earl of Nosingham-by-the-Dumpster. “And frankly, I can’t understand why the automotive press would think we weren’t. Land Rover issued a press release saying the Evoque Convertible would be revealed in November and go on sale some time in the spring of 2016. Autoblopnik had difficulty spotting the changes, but a Range Rover intern pointed out that the grille has been canted back by a revolutionary one and a half degrees, while the windshield windscreen is now a revolutionary two millimeters shorter. The side window frames are now a revolutionary shade of glossy black, replacing last year’s non-revolutionary shade of glossy black, and there are now three of those silly-looking revolutionary gill things behind the front fender instead of just one. New tail lights are shaped like revolutionary squares instead of circles, and the wheels have been revolutionarily ripped off from a MINI Cooper. “More important than the revolutionary new styling is the revolutionary use of al-u-minium and the corresponding revolutionary reduction in weight,” said Range Rover spokesrevolutionist Sir Colin Beadly-Fenton Colin Smythe Colin XIV, Seventh Earl of Binton-on-Doorstep Colin. The new Range Rover reportedly tips the scales at just under seven and a half tons. British motoring magazine Autocock praised the new Range Rover’s revolutionary new styling, calling it “A revolution that is nothing short of revolutionary.” Esteemed automotive journalist Clifton Faghands, who was flown first class on an all-expenses-paid trip to London to look at a picture of the new Range Rover, had similar words of praise. 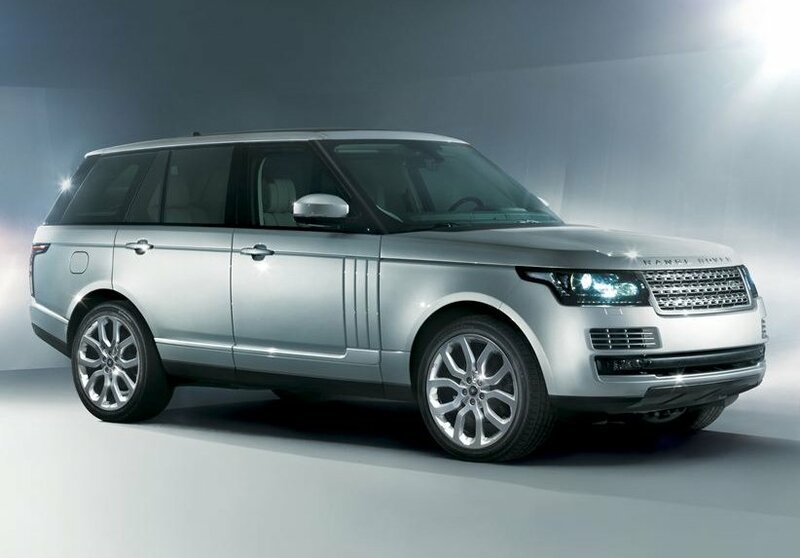 Range Rover plans to reveal the new Range Rover to the public at the Paris Auto Show.